Please welcome to Farsight Blogger Chris Birch of Modiphius Entertainment, the guys who’ll be bringing us the 3rd Edition of the Mutant Chronicles roleplaying game. Perhaps you’d like to tell us a little bit about yourself? I used to work in music booking tours for bands, then organising big electronic music events before moving on to video games marketing and finally clothing, I had a t-shirt company making cool tees based on video games called Joystick Junkies before I left to start Modiphius. 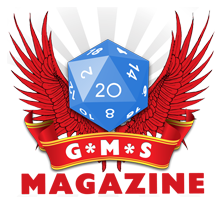 Tell us about your RPG history – what got you into the wonderful world of tabletop roleplaying? I’ve been a gamer all my life since my intro to D&D age 9 and Steve Jackson’s Ogre game shortly afterwards. It was both my brothers that got in to RPG’s at different times, and introduced me to D&D and Metamorphosis Alpha. I then got my elder brother in to war-games from about 11 was always dreaming up rules for war-games and RPGs. Actually I still remember the first day playing soldiers when I suggested we roll dice instead of just knowing soldiers over as a kid. This passion for designing game ideas continued but I never had a vehicle to use it, until about 10 years ago I thought of developing an RPG based on the Starblazer comics from the UK (black and white, cool colour covers, a whole story in 70 pages from the 1980’s). I published it through Cubicle 7, then co-wrote Legends of Anglerre with Sarah Newton. I always wanted to do something to do with weird war ever since I read Sergeant Rock as a kid and had been thinking of doing a Kickstarter project with World War 2 and Cthulhu. I’d also been wanting to add ‘Cthulhu’ to games of Flames of War my friends and I were playing and suddenly ‘Achtung! Cthulhu’ was born. Sarah Newton had a great plot for a campaign in a Cthulhu based WW2 campaign so we teamed up to offer that as the first release under Achtung! Cthulhu and Modiphius Entertainment was born. Of course once we did the Kickstarter a year later following several successful releases the company launched full time and I left my old job to focus on tabletop adventures! The passion you find in people who are designing, making or playing the games, the sheer wonder and excitement around each cool new game we have, the opportunity to create amazing new worlds of adventure and see them come to life in people’s minds. I love playing challenging unbalanced games where the odds are against me – I love a war-game where I ‘might’ just win if I do exactly the right thing. There’s something about facing impossible odds and seeing your strategies win through. Equally I love throwing a great dinner party and introducing people to roleplaying games for the first time. So tell us more about the Mutant Chronicles Third Edition roleplaying game; what’s your history with the license? I first played the RPG in the 1990’s, I’d discovered the Blood Berets Boardgame set in the same universe and then the Doom Trooper card game (that was in 16 languages). So the Third Edition is a complete revamp – we’re taken the long history from the old books, filled in the gaps, developed a deeper plot and backstory to explain everything, mad more sense of some of the awesome clues and plot hooks left hanging in the 90’s and brought the rules system up to date with a brand new cinematic game system. All the good stuff is there like the awesome world, the cool character life path creation system, plus we’re adding new things like spaceship travel and combat for the first time, a conversion system to the Warzone skirmish system (that re-launched last year) and much more. We’ve really expanded the incredible storyline so there’s so much more to discover now. What was the attraction in giving this particular universe new life and another chance? It was a fresh, crazy, mad for it gaming world that drew you in with the awesome looking art. Having played it and loved it in the 90’s and offered the chance to bring it to life again I knew I had to do it, and with Kickstarter and the ability to find all the old and new fans it was a fantastic opportunity to share the experience of the Dark Legion invasion with everyone again. Will we see many changes from the previous editions? We’re offering an extended time period – now you can play in the first days after the outbreak of the Dark Symmetry with investigative style missions as well as the full blown 1st and 2nd Corporate War and the 1st and 2nd Dark Legion invasion – this gives GM’s and players SO much storyline to explore. The rules will be more cinematic, wider ranging (allowing spaceships, your own corporations, allegiances, and much more) and allowing the GM to really introducing fantastic dramatic scenes and let the player’s do the kind of things you’ve always imagined they should in Mutant Chronicles. What more can we expect to see from Mutant Chronicles in the future? We’re planning a big range include all the books that were out before plus three big campaigns and other guides, merchandising, RPG figures from Prodos Games and much more. Like all industries retail is shrinking, stores are closing – it’s the same in fashion, music, gaming – so businesses have to find new ways to reach their customers, new products that compete better, that give their fans exactly what the fans want. At the same time it’s getting easier for anyone to put great quality games out – what with print on demand, Kickstarter and the rise of 3D Printers so it’s a great time to be a gamer!